Meet Simba and Turtle, two puppy mill rescues who love making a difference in the lives of students and educators at Mutt-i-grees schools in New York. As part of the Mutt-i-grees outreach team, they co-present at assemblies and school visits with their best human friend, Jayne Vitale, Mutt-i-grees Outreach & Youth Development Program Manager. 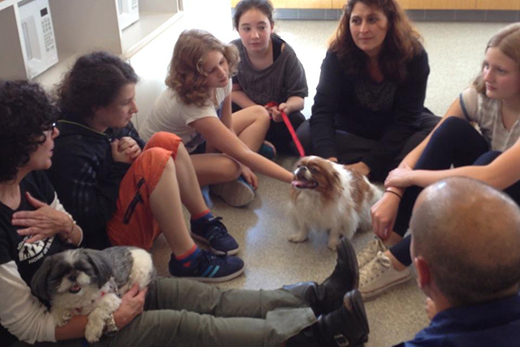 Jayne has seen the positive impact firsthand during her dogs’ many visits to Mutt-i-grees schools. “Spending time with dogs can help to bring students to life,” she explains.